When Amanda isn’t playing matchmaker for businesses and potential employees, she enjoys interior design, event planning and working on not being the worst golfer in the Dayton area. Amanda is an active member of the Dayton Chapter of the American Red Cross and serves on their Associate Board. She is also an active member in several professional organizations that include DARA (Dayton Area Recruiting Association), MVHRA (Miami Valley Human Resource Association), DACC (Dayton Area Chamber of Commerce) and WiBN (Women in Business Networking). To provide programs and resources that promote diversity as a strategic component of MVHRA overall mission which is critical to our individual and organizational success as Human Resources professionals. Promote an environment that recognizes and reflects the Miami Valley community's multi-culturalism in membership demographics, program topics and community involvement activities. Education – Provide our members with tangible skills and competencies that can be used in developing initiatives and managing diversity in their workplaces. Information – Provide communication on diversity-related topics through newsletters, programs and workshops. 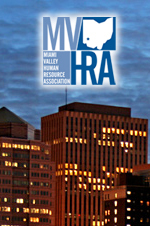 Develop a presence on the MVHRA.org website for diversity information. Awareness – Understand that diversity is an integral part of Human Resources management. Diversity must be reflected in the philosophy, policies and practices of MVHRA.